We are Asheville's client service tree care business, serving the greater Asheville area We are a client service company that offers great tree care. Our goal is not to just offer top quality tree care but to provide the best customer service in the industry. We know you have options when choosing a tree company in Asheville, so we set ourselves apart in our client service philosophy - treating each client (and even prospective clients) as we would like to be treated. Please call us for a no cost tree quote. We can often provide same day quotes, something that demonstrates our customer service commitment. We began a tree care business Asheville could depend on to offer both quality services and great client service because we knew home and business owners would appreciate it. Having used tree care companies in the greater Asheville area, we know that a conflating of these two business goals would place us not as a competitor in the market but an pioneer. As a result, we focus on client service as much as we do tree care because we think our customers will appreciate and value being taken care of. In today's commodity marketplace, where services are an afterthought, we knew having a service oriented tree care company would be a huge differentiator. Below are nine criteria you will want to contemplate when shopping for tree companies in Asheville NC. These reasons, why we are worthy of your consideration, are what separates us in the market and, we think, makes us trailblazers and not peers to our competition. However, don't just take our word, please consider for yourself the reasons to consider the tree service Asheville residents use when tree and customer service are paramount. Many service companies will state a 100% satisfaction guarantee however, do they really stand by it? Asheville Tree does! There is an old maxim, "it is not what you say, it is what you do". We stand by our guarantee by not just stating it but by performing to it. There are many tree care business in Asheville, so how can one distinguish themselves? By executing EXCELLENCE in everything they do. And that is exactly what we do with every client contact we have. Anyone can trim or remove a tree, but to do so with professionalism, quality, and with 5-star quality takes innovation, commitment, and dedication in everything we do. We aim to offer not only our clients with this level of service, but our prospective customers as well (and, as a matter of fact, every person we come into contact with from vendors, suppliers, marketers, advertisers, etc.). Our reputation is the only one we have, so we protect it with conscious attention to detail and client service excellence. To do this mandates we execute everything we do with the integrity, professionalism, and quality. This is our business, as well as, life philosophy. We provide the complete range of services any business or homeowner could need and want in a tree company. Our services cover the full spectrum of tree care, to include services rarely offered by other businesses, such as wood chipping, fertilization, falling and planting. Our arborists and tree care specialists years of experience in providing the services below, both all throughout the Southeast. As part of our client service focus, we are the single provider for all services. The one hundred percent satisfaction of our clients. The tree care business challenge: a tree business has expensive overhead components yet our clients want affordable prices. Tree businesses have a number of variable and fixed costs: labor, equipment, and insurance. Equipment costs range from approximately $15K for stump grinders to over 30K for bucker and dump trucks. Workers compensation insurance is 20% on top of our labor expense. That means for every $100 in labor cost, we have an additional $20 in workers compensation insurance expense. Of course, every business has expenses - we aren't complaining - it is just a tree care business faces some hefty overhead expenses that need to be factored into our pricing. We offer honest, fair rates for all our services. We believe our pricing creates a win for our customers and a win for our business. We know our clients want lower prices, yet, we also recognize they want professional work. As a result we think that BEST VALUE is the solution for both our clients and our business. In providing value rates, we can offer quality, professional services at costs that meet our clients' expectations. We may not be the lowest priced tree care business in Asheville, but we will provide the best value service price that conflates affordability with quality. All tree care companies should be insured and licensed, yet unfortunately many are not. Especially those that knock on your front door soliciting your business. Now, we don't disparage any entrepreneur for beating the pavement, "knocking on doors", and grinding - this is what has made the United States great. However, in the tree business, licensing and insurance is a critical element to a professional, responsible company. Without both, as a property owner, you expose yourself to legal and financial risk. Without umbrella insurance coverage and workers compensation, property owners who use un- or underinsured tree care business assume financial (and legal) liability should an injury or accident occur on their property. We assume you do not want this exposure, especially unknowingly. Therefore, it is critical that you only consider tree businesses in Asheville that are fully and legally insured and licensed. ​Perhaps the best single way to consider tree companies is to peruse the reviews of their performance. We suggest to our prospective clients to review our work, testify to their experience, and otherwise let your fellow property owner know how good we were. 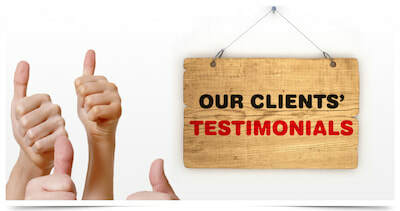 Moreover, ask family and friends if they have used us to get their personal testimony of our service. Finally, consider trusted internet websites for our customer's reviews about our work to assess us vs other companies. We believe you will come to the same decision that so many of our other faithful clients have: we are the tree care Asheville property owners depend on for quality, professional, and fair priced tree care. 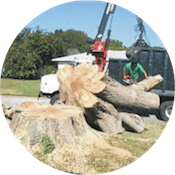 We understand when you phone for tree care services, you want someone to be at your business or home or business quickly to give you a price estimate for the job. Additionally, we also understand when you phone, you don't want to get voicemail: you want a human to answer the phone when you call to deal with your request promptly. We seek to meet both of these goals in swift, responsive on-site quotes often the very same day that your telephone or message us. Consequently, we have developed our business organization to offer you both of these customer services whenever you phone to request a price estimate. We strive to meet these objectives but would be lying if we said we did so 100% of the time - at times situations cause our delay in responding so the best we can do in these circumstances is to phone you back quickly. We want you to understand it is our business objective to meet both of these responsiveness commitments as much as we can. 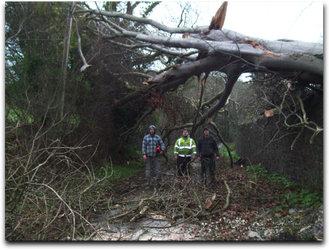 Storms and ice can significantly impact your trees, causing devastating harm to them and your property. And being not far from the Atlantic Ocean, hurricanes and tropical storms are an added threat. We consider our business a first responder in these storm situations where other agencies, such a fire, police, and power companies, are relied on in storms' aftermath. Tree damage to your structures, property, and power source(s) can certainly be disruptive. Because of this, we run our business 24x7 during storm damage situations to rapidly and efficiently clean-up tree debris and enable other first responders access to do their important jobs. During these circumstances, we operate with flex crew team that we out-source from local, but unaffected areas. This allows us to do more tree work in less time, assisting our clients faster than we normally could. When you telephone, we will quickly dispatch an assessor to your home or business to inspect the storm tree damage, supply you with a verbal estimate that will be followed up with a written quote, and then swiftly assign a crew to your property to begin the clean-up effort. This is one of the many service reasons we are the tree care business Asheville area relies on and trusts for their business. We operate and manage our company like any professional, serious service company does. We adhere to all the guidance and advice of the Tree Care Industry Association (TCIA). TCIA is a tree industry association of over 2,300 tree care companies and affiliates whose mission is to advance, promote, and otherwise steward the tree care businesses. Furthermore, we are a member of the International Society of Arboriculture (ISA), which promotes and sponsors the professional practice of arboriculture throughout the United States and the world. We have decades of practical business and arbor experience in servicing our clients and the greater Asheville community. Finally, we have invested in our company, like any any other serious, professional business would, to include equipment, personnel, advertising, marketing, delivery, sales, management, and leadership. When you next need to consider tree care, please select one that operates as a bonafide professional services company. We are a locally owned and managed business right in Asheville, NC. We aren't like the national franchise brands like Monster and Davey's, where corporate leadership is out-of-state and the business is run like a mill. Instead, we founded and built our business right here in the foothills of the Smokey Mountains by offering affordable rates and great customer service. Whether you need tree removal, tree trimming, or any of our arboriculture services, you can trust the tree care Asheville depends on for quality tree care. We offer both commercial and residential service. We understand that both sets of clients have similar service needs, however we approach them slightly different to accommodate the unique natures of each customer base. With our commercial clients, we understand their landscaping and trees are a business asset, notably when they have customer traffic at their location. Consequently, we strive to maintain and enhance this flora asset for our commercial clients to enhance their business's value. Further, we offer commercial pricing and terms to function as a business partner with them. With our residential clients, we know that their landscaping and trees add to their property's value; and curb appeal is paramount to both their pride of ownership as well as potential re-sale value of their property. For these clients, we offer focus tree care that is both priced affordably yet provides the best service in the business. We want all of our residential clients to be happy with their trees and service.